A single product; an intended use or specified target group does not define Maloja, Maloja is the embodiment of life. If you have dropped in and navigated a challenging trail for the first time, managed to claim first tracks on a powder day or rewarded yourself with an ice-cold beer after an excruciating tour then what you have experienced is quite simply, Maloja. 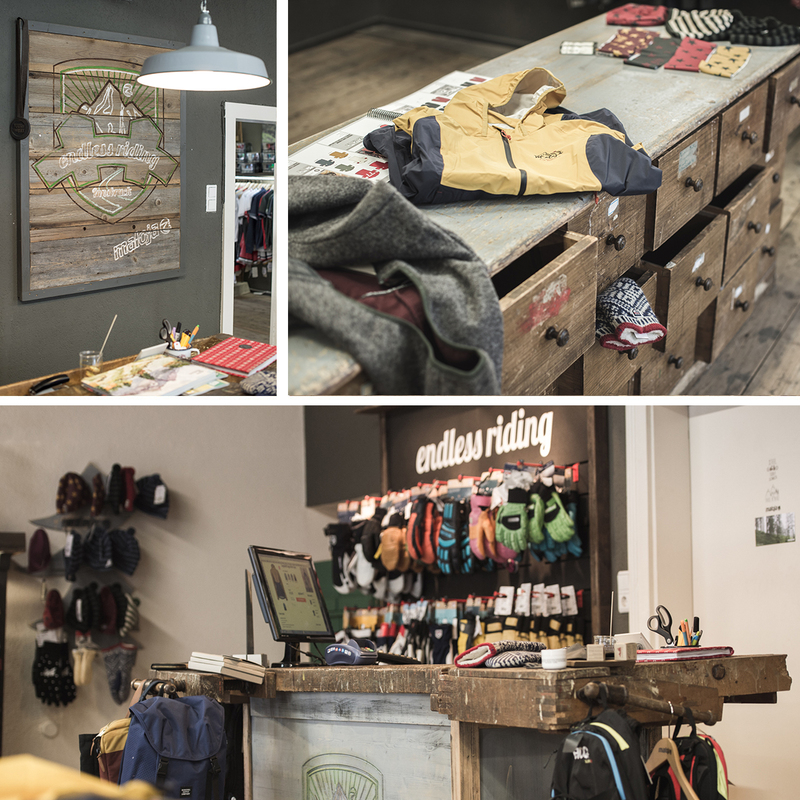 Stefan Stütler “Stü” set out to find a home for this Maloja feeling and in doing so he found a location for a Maloja shop in the Innsbruck city centre. It was not an easy task, as he had to navigate many soulless shopping centres, commercial districts and cookie cutter office spaces. Stü finally found Maloja’s Innsbruck home at Anderas-Hofer-Straße 14. When he found the shop it was in less than ideal shape, however the street name was fitting, as it is that of a famous Tyrolean who fought for freedom. The first amongst many challenges was getting in the door. Stü had to oil the rusty hinges so the door would open. Once inside the shop windows were impossible to see out of. The old oil furnace was for the most part, questionable and finally the circa 1930 electrical raised eyebrows as to whether it could withstand modern day power demands. The plus to all this is that the original wood layout of the shop remained, freezing a moment in time and making the look and feel of the shop completely original. 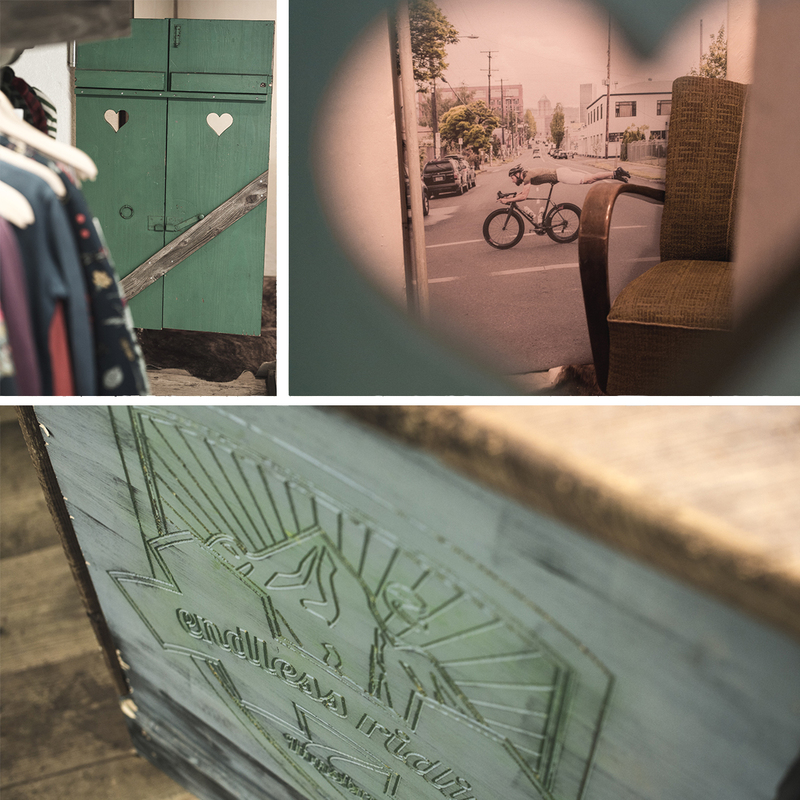 The shop has a unique charm and character that embodies the Maloja feeling illustrated best by the fact that the espresso machine was installed long before the cash register.